After the successful and much talked about RA.ONE execution, Youtube in India has worked out a great integration for Hero Impulse, India’s First Transroader. The platform renders itself to great brand pages dedicated to videos (which have been lapped up by most brands already), but through intelligent brand solutions, Youtube is now giving advertisers deeper integrations and options by adding another layer of engagement. I have seen the high awareness Hero Impulse campaign on pretty much every publisher’s home page. All the rich media executions land on the Youtube branded page that plays out the TVC as an intro, with effects similar to the one we’ve seen for RA.ONE, where the page breaks down. Once the initial animation settles down, there are various options for the user to engage. 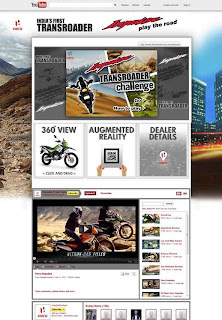 The Transroader Challenge is a simple game where users need to manoeuvre the obstacles and move ahead using keyboard keys. They can choose the Bike Colour and the Terrain. 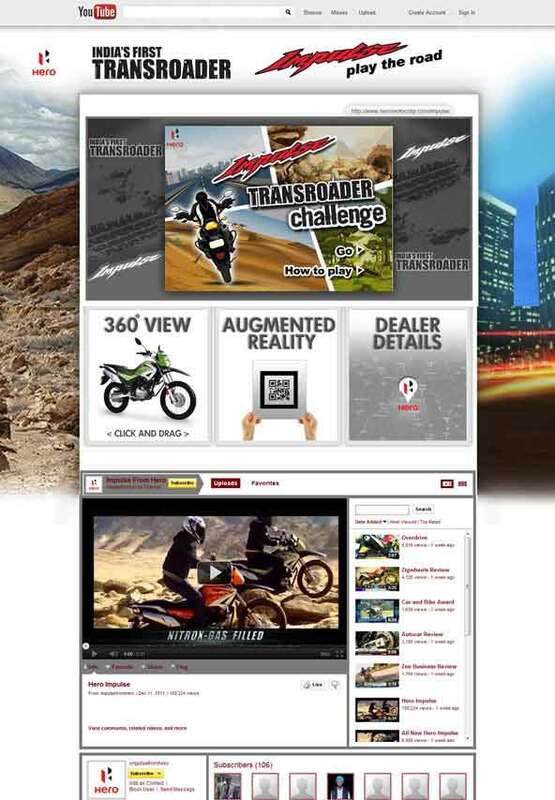 In addition to the game there is a 360 View of the bike and a Dealer Locator tab that leads to the Hero site. The page also has an augmented reality integration where users can take a print of the code and hold it in-front of their webcam for experiencing the bike. All of this sits above the usual Youtube Brand Video page for Hero. Great way to leverage and monetise core assets.